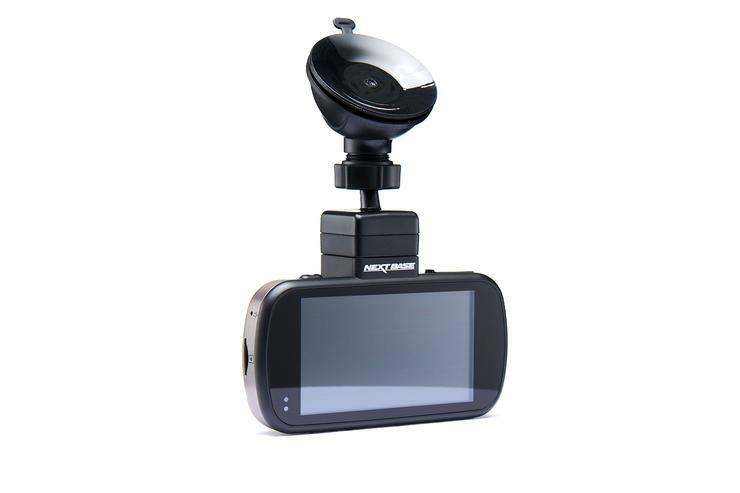 This dash cam has one of the most feature-complete and handsome designs in the field. But low-light captures could be better. 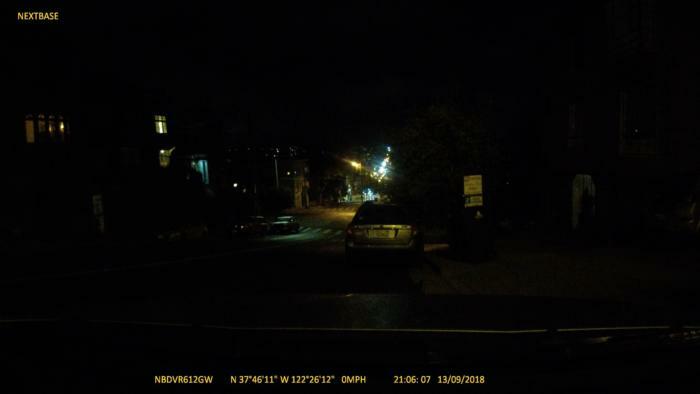 Nextbase’s 612GW dash cam made quite the impression when I popped it out of the box. First off, it’s the only dedicated dash cam I’ve tried with a touch display. Touch makes using the camera super-easy. Eliminating the buttons lends a clean and uncluttered aspect to what is easily one of the more stylish dash cams to cross our portal. 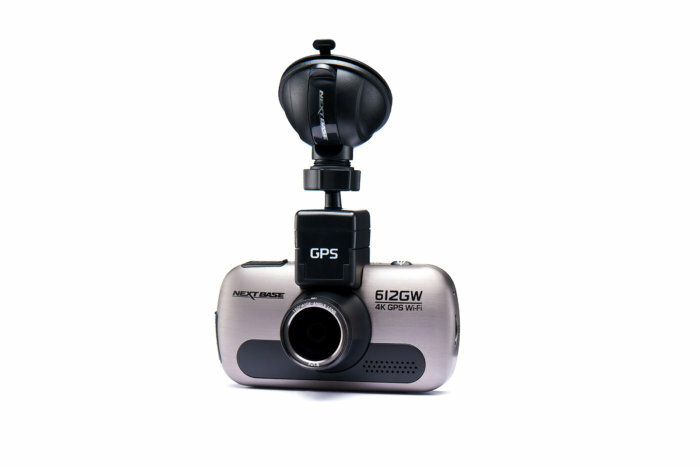 The 612GW also has GPS integrated into the mount, takes very good day and night video (up to 4K UHD! ), has a battery that allows it to run for a few minutes away from the 12-volt, and even offloads via a phone app. The only negative is the low-light captures, which are some of the weaker I've seen recently when it comes to peripheral detail. When it comes to looks, the 612GW is the real deal. The brushed aluminum case, the 3-inch, wide-aspect color touch display with a polarized glare reductions filter, and mount with integrated GPS are all attractive and very functional. The 612GW is a cut above when it comes to appearance and styling. Though its lighter color will ward off heat, it also makes the camera more noticeable. As I said up top, there aren’t the usual clusters of buttons, only power on/off on top and the protect video button on the right. There are three ports: the mini-USB power connector on top, the SD card slot on the left, and the mini-HDMI display output on the right side of the unit. 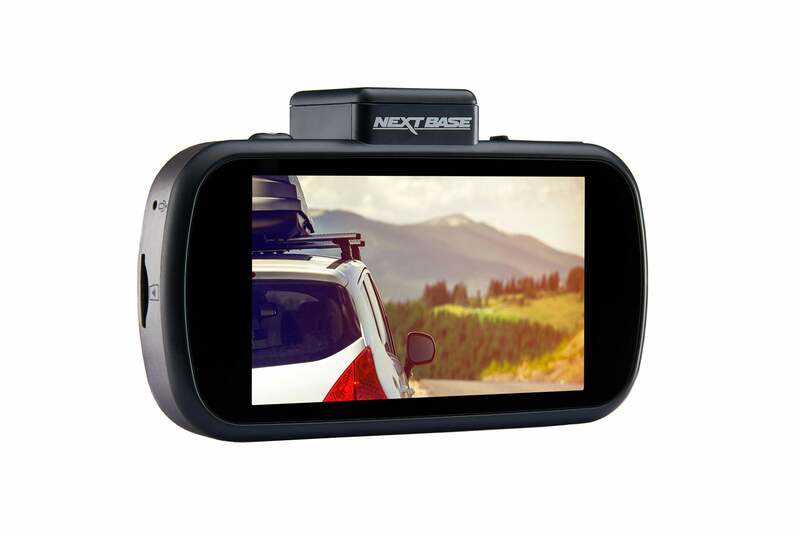 As you can offload and watch video from the Nextbase phone app, that makes the 612GW one of the most versatile viewers around: direct USB connect, card reader, phone and direct output to displays. Nextbase includes both suction and semi-permanent sticky mounts, which attach to the GPS unit via a variable-pressure (via a rotary nut) ball socket. Also bundled are auxiliary power to mini-USB, and mini-USB to Type A cables. 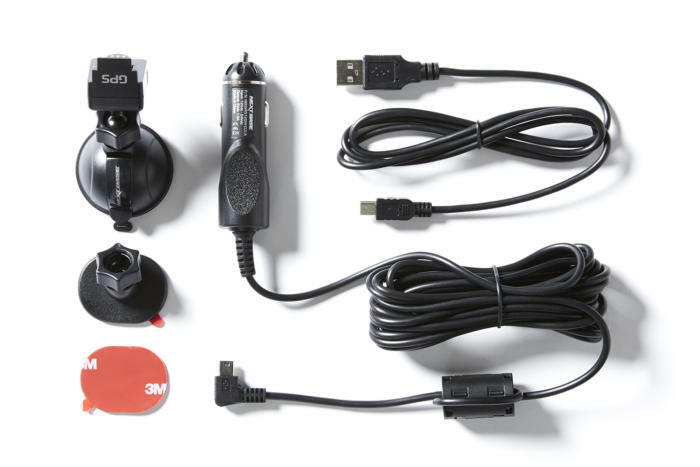 All the goodies in the box: suction mount, semi-permanent mount, power/USB cable, data USB cable. The on-board camera is capable of taking 4K UHD (3840 by 2160) and 1440p video at 30 frames per second, as well as 1080p at 60 fps or 30 fps. Fair warning: The file sizes for 2160p are rather large—the company and I both recommend at least a 64GB SD card for the 4K UHD. The docs talk about a 7-lens system with a 150-degree field of view. 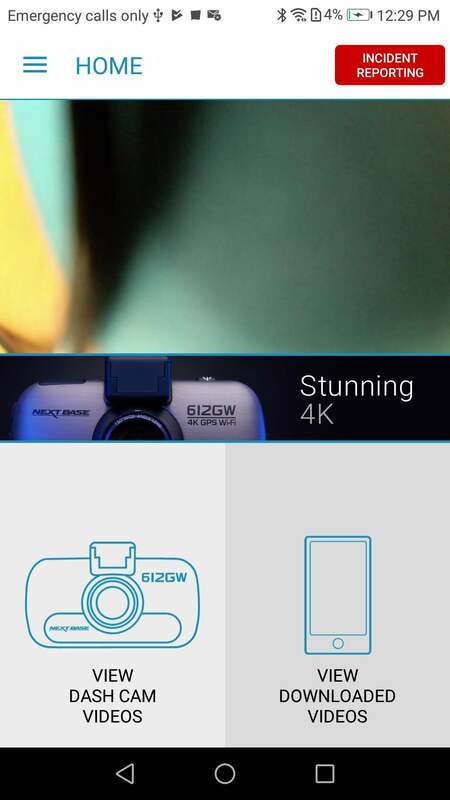 I’ll take Nextbase's word for the lens count. Whatever is being used, it’s quite good—probably the best optics I’ve seen in a dash cam outside of Thinkware's. The 612GW also has two parking modes: standard (for hardwired installations), and intelligent. The latter relies on the battery with the camera in standby mode and the g-sensor powered up. If the g-sensor detects an impact, it powers on the camera and records for five minutes. If not disturbed excessively, Nextbase claims up to several days of coverage. 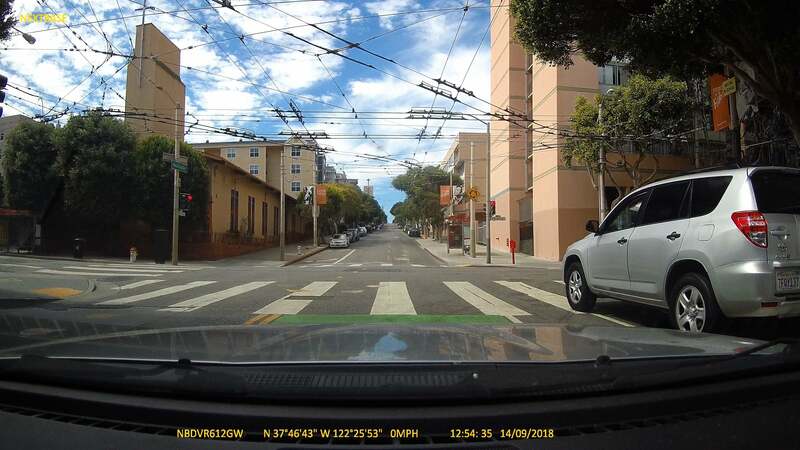 Vava’s Dash Cams are the only other cams I’m aware of that perform this trick. The 612GW display is nice and supports touch, but is perhaps not quite as high resolution as this picture would make it seem. As I said up front, using the 612GW is very easy due to its touchscreen. While I might’ve opted for slightly higher vertical resolution than 960 by 240 (the fonts have some jaggies), the menus are nicely thought out and a breeze to navigate. Other features include time-lapse photos and registering the camera to a particular license plate number. As mentioned, there’s an app that provides a live view and the ability to view videos. The Nextbase Cam Viewer software’s main screen with a live view and options. Note that to get some settings to take hold (the screen saver/off function for instance) you must turn the camera off then on again. By default, the 612GW saves both low- and high-resolution versions of every capture. The high-resolution day video was very nice indeed, with plenty of detail and a warm color palette. We have zero complaints about the 612GW’s day video. This is the 2160p and the detail is a testament to superior optics. We still recommend 1080p which provides enough detail with 25% of 2160p’s file size. The camera defaults to 4K UHD (3840 by 2160), and it does actually have the optics to capture at least some of the extra detail that resolution is capable of. But file sizes are far larger than those of 1080p, and the 2160p gave my PC a slightly hard time during playback (Hint: You need a pretty modern GPU). I’m guessing that device playback has something to do with the low-resolution files. Sharp, detailed 2160p is a nice capability, but 1440p or 1080p might be a better bet for everyday use, despite the 64GB SD card Nextbase includes. The 612GW’s night video when the headlights are on is also quite good. It’s the low-light captures (parked with the headlights off) that’s questionable. Though you can easily make out the wording on signs nearby, that’s only because of reflected street light. There was little detail in the darker areas, and adding brightness in post production, which increases detail with many cameras, resulted in a washed-out, grainy image. You can see it in the pictures below. Feel free to download the image and try processing it yourself. What can we say? This is the darkest video we’ve seen in a while, and far darker than the actual scene. We’ve seen much better from Sony EXMOR sensors, so it may be the extra resolution coming into play. You can see details, but only where the streetlight directly above the car is reflected. This is a low-light night capture after the Nextbase-recommended firmware update—no improvement to speak of. For capturing a general picture of what’s going on all around you, the 612GW is weak, though details on surfaces reflecting light are clear. 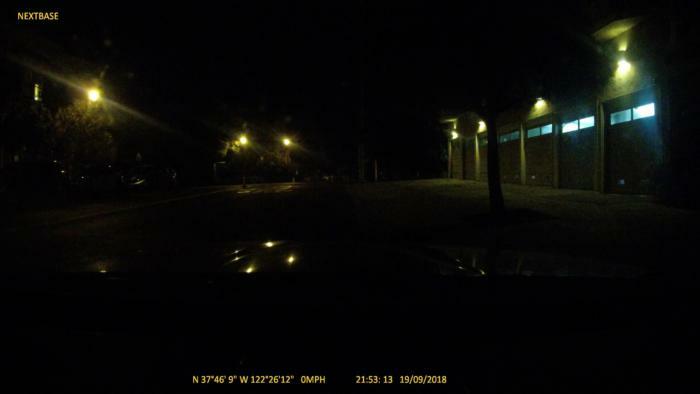 While I’ve been telling you in my most recent dash cam reviews that the night scene is not as light as the camera makes it appear, in this case I have to tell you that it’s not nearly as dark as the 612GW’s capture makes it seem. The kicker is, we’ve seen superb night and low-light video from the Sony EXMOR sensors. Nextbase explained to me that it has to do with the higher resolution. That may be, but it does limit the camera's usefulness in some surveillance situations. The 612GW runs only a tad warm, and is rated for operation between minus 40 degrees and 120 degrees Fahrenheit. It’s warrantied for a single year.